The Joshua Tree Genome Project launched a new effort to understand the health of Joshua tree populations across the Mojave Desert earlier this month. The JTGP, a collaborative effort to build a reference genome sequence for the most distinctive member of the Mojave Desert plant community by biologists including CSUN Assistant Professor of Biology Jeremy Yoder, Willamette University Associate Professor of Biology Chris Smith, and US Geological Survey ecologist Todd Esque, is working with regional conservation organizations to recruit and train volunteer leaders who will guide teams of community scientists in standardized surveys of the demographics of Joshua tree populations — determining how dense the trees grow, how healthy they are, and whether young trees are surviving to replace aging adults at sites across the desert. 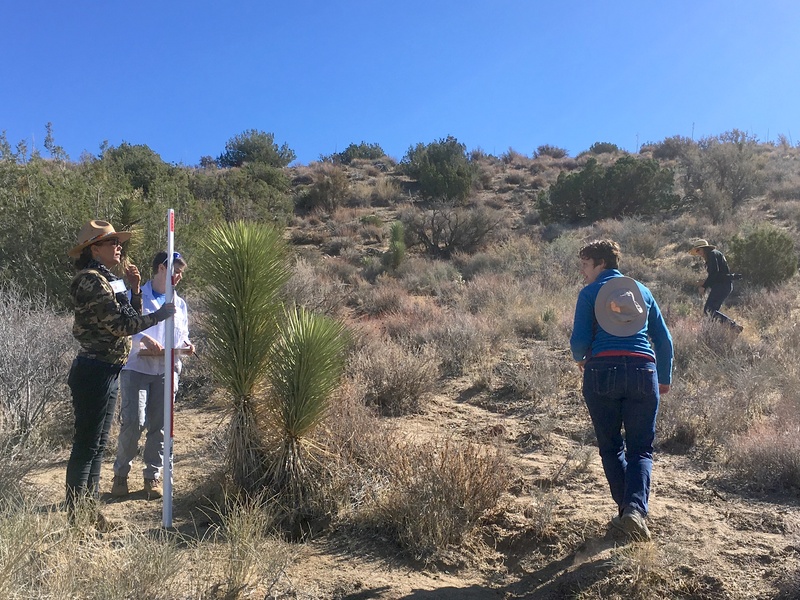 Collectively, these survey teams will help build a picture of the current state of Joshua tree populations, and help identify sites that will be good prospects for conservation. The first stage of the project launched this past Veteran’s Day weekend, when volunteer leaders with the California Native Plant Society, the Mojave Desert Land Trust, and the Transitions Habitat Conservancy met with Smith, Esque, and Yoder at the THC’s Puma Canyon reserve to learn about the project, test-drive a protocol for the volunteer survey teams, and plan the next steps. The full story is online at the JTGP website.